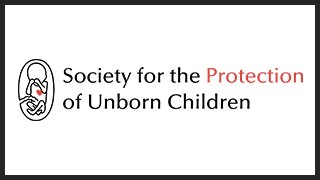 The Society for the Protection of Unborn Children (SPUC) has published an in-depth evidence-based review examining the detrimental effects abortion has on women’s health. Dr. Pike challenges the common rhetoric that presents both medical and surgical abortions as ‘safe’ observing that ‘given the ongoing nature of much abortion research, definitive statements about safety are inappropriate. Abortion and Women’s Health acknowledges complicating factors in reaching definitive conclusions in abortion research. It takes its information from a range of studies carried out in different countries, honestly highlighting potential discrepancies in information between studies. Influencing factors that lead to abortion are addressed and put forward as varied and at times blurred. No single factor is presented as generally motivating women to seek abortion, rather a range of often unfortunate and inconvenient life circumstances that often leave the expectant mother feeling in crisis. The study cements SPUC’s claim that they are as much concerned for women’s health as they are for the unborn child. Abortion and Women’s Health presents a range of possible effects abortion will have on some women as found in numerous independent medical studies. General unawareness of potential medical complications due to abortion. Increased mortality rate for suicide after abortion. 80% increased risk of death after abortion compared to after birth within the first year (Denmark between 1980-2004). Increase in deliberate self-harm after abortion, including substance abuse. Potential link (highly contested and debated) – to increased risk of breast cancer. Sleep disorders and disturbances are also more common in women with a history of abortion. Higher risk of psychiatric admission compared with women who carried to term. In a Californian study, women who had an abortion were over-represented in treatment categories that included bipolar disorder, neurotic depression, and schizophrenic disorders. Particularly traumatic after-effects when abortion is undertaken for reasons of foetal anomaly. Prior to late termination women report feeling guilt, fear, anguish, unreality, relief, desperation, emptiness, and other conflicting emotions. 40% of women had only negative emotions. Other adverse mental health outcomes include emotional distress immediately after abortion, sadness, loneliness, shame, guilt, grief, doubt, and regret. Women who had abortions experienced mental health disorders 30% more often compared to women who had not had an abortion. There is a 25% elevated risk of anxiety, and studies point to 10% of the prevalence of mental health disorders coming from induced abortion. Some women even develop PTSD following abortion. SPUC’s study highlights the need for medical practitioners to provide unbiased, detailed information to women seeking an abortion. Current government-supported counselling for pregnant women often comes from institutions that also provide abortions, including the British Pregnancy Advisory Service (BPAS) and Marie Stopes. A lack of impartiality in such counselling is evidenced by recent revelations from the Care Quality Commission (CQC) that some Marie Stopes clinics pay staff bonuses for encouraging women to go through with an abortion. Full findings and collaborative references can be found in the full SPUC review, now available in its entirety online.